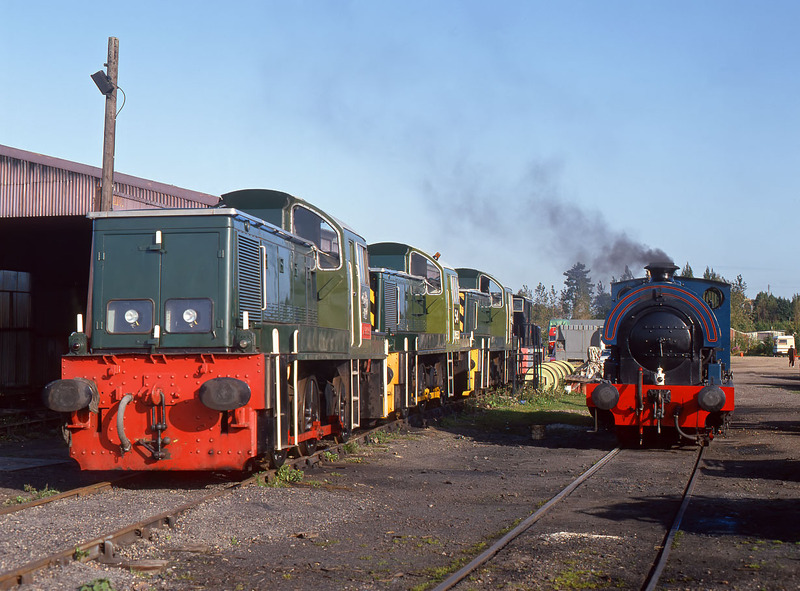 An impressive line up of Class 14 hydraulics at Toddington on the Gloucestershire Warwickshire Railway on 10 October 1992. Nearest the camera is D9539, followed by D9553 & D9537, while on the right Bagnall 0-6-0ST Byfield No.2 simmers away quietly. Only the centre loco in this line up is still resident on the railway. As the line is now home to a large collection of mainline diesels there is less need for these 'teddy bears' to be used for passengers services, as was often the case when this picture was taken.